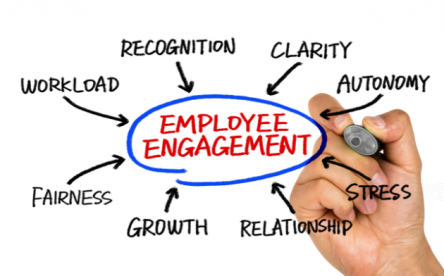 Assess your employees’ work values. Before considering hiring a new employee, it is key to assess the candidate’s personality to identify workplace values. This will help you gain a better understanding of what you need to do as a manager for this specific candidate. Another idea is to ask them to identify their top characteristics or values they would like to see implemented at work. This will allow you to get to know your employees better, and also mold the workplace into a more comfortable environment. Assign a mentor to new hires. Assigning a mentor to new hires is a great way to gain insight into what employees need from you that they might not feel comfortable approaching upper management with when they are first hired. A mentor allows a new employee to experience different roles and responsibilities. By doing so, the new employee will better be able to discover which department they are most successful in. A mentor can evaluate an employee and give employees placement suggestions that will be beneficial to the employee and the company. Recognize a job well done. It is far easier to blanket every employee with a thank you, rather than specifically thanking and recognizing those who genuinely deserve praise. Recognition is a powerful motivator to employees, but only if used wisely. Praise to employees who are undeserving can frustrate high performers and reinforce low performance. It is critical to pay attention to those that are deserving of praise, and offer it genuinely.